In January, Yale’s Center for Teaching and Learning (CTL) will move into renovated space in Sterling Memorial Library. The Center, currently housed in 320 York Street, supports excellence in teaching and learning by providing support for student learning and writing, teaching consultations and advancement grants to faculty as well as graduate students, global online learning opportunities, and a host of other initiatives that advance Yale’s teaching mission. 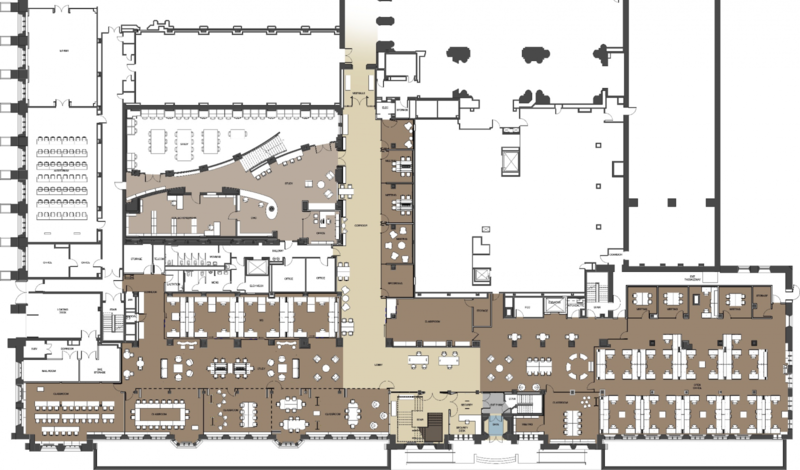 The renovated space will occupy 35,000 square feet of the Library, including a corridor connecting the newly opened York Street entrance to the Nave. The Center’s new home will include a technology learning studio, several flexible classroom or meeting spaces, and one-on-one tutoring rooms. To learn more, please speak with Patrick Clark O’Brien, Communications Officer for the Center for Teaching and Learning, at (203) 432-8408 or via email .